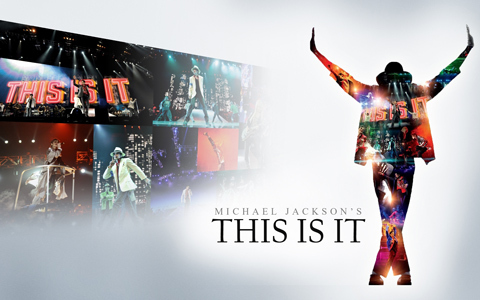 da Blog In Theaters: "Michael Jackson's This Is It"
Having worked with legendary director/choreographer Kenny Ortega and editor Don Brochu on High School Musical 3, fate landed me on this epic documentary about the final days of the King of Pop. Kenny was directing Michael Jackson’s This Is It comeback tour and was only days away from a company move to London for final rehearsals when MJ passed away. Video of the Los Angeles rehearsals became our main source of footage in creating what would become a $250 million-grossing theatrical feature documentary/concert film. Starting out as First Assistant Editor, I was bumped up to Additional Editor after making a key contribution to “Earth Song” and went on to cut the opening of the film. Michael Jackson’s This Is It is a unique, once-in-a-generation event. It is both meta and guilelessly of its moment. It is also the capstone of an era of centralized media that created stars of inconceivable fame – who nevertheless were real people. Watch it with a great sound system, turned up loud. This is some of the best music mixing you will ever hear.